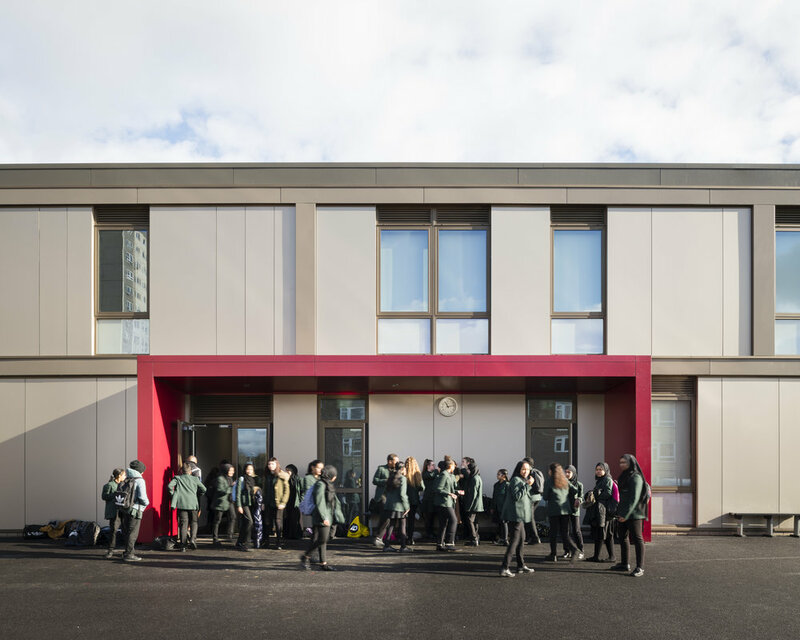 The first phase of Greatfields School in Barking and Dagenham is complete after just eight months on site. Constructed using a hybrid Innovare system, the new two-storey teaching block contains 18 classrooms and external play to accommodate the initial Year 7 intake before further school zones are complete. The project is part of the wider Weaver's Quarter Masterplan and regeneration of the former Gasgoine Estate, providing much needed school places in the area. A further teaching block and main school building will be submitted to planning early this year, to be completed in time for the September 2019 school intake.